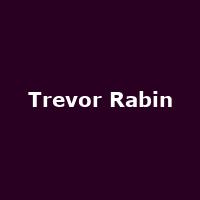 Trevor Rabin is a multi award-winning South African American musician, singer-songwriter, producer, and film composer. In 1983 his band, Cinema became band "Yes", with the arrival of Jon Anderson joined. He is also a member of the splinter group, ARW, featuring Jon Anderson and Rick Wakeman. Solo albums include his 1977 debut, "Beginnings", plus "Face to Face" (1979), "Wolf" (1981), "Can't Look Away" (1989), "90124" (2003) and 2012's: "Jacaranda". He has worked on numerous soundtracks, including the films: "Armageddon", "Enemy of the State", "Gone in 60 Seconds", "Exorcist: The Beginning" and "Glory Road".